This is a preview of our webinar with Vehicle Acquisition Network where we discussed the benefits of a defined disposition strategy. For immediate access to the complete ‘edited’ version of this webinar, enter your information in the form on this page. Thank you. Which disposition channels will yield the optimum return (fastest turn with the highest profit potential)? Are you exercising all of your disposition channels effectively? Is the vehicle a potentially desirable vehicle to one of your wholesalers? Do you know of a dealership in the area that pays the most for a particular unit? Have certain units sold more quickly at auction than on the lot in recent months? Tom is Founder and President of Vehicle Acquisition Network with more than two decades of experience working in auto retail from sales, finance, and used cars. Tom founded V.A.N. in 2013 to help solve a problem at his dealership – sourcing used cars more profitably. V.A.N. helps dealers acquire private party vehicles via automated text messages communication of in-market private sellers, at a fraction of the cost of auctions and in a market not currently explored. With nearly 15 years experience purchasing vehicles from consumers and in wholesale, Aaron has become a power user with Vehicle Acquisition Network, using the tool to source vehicles from consumers and network with wholesalers in the Houston area. 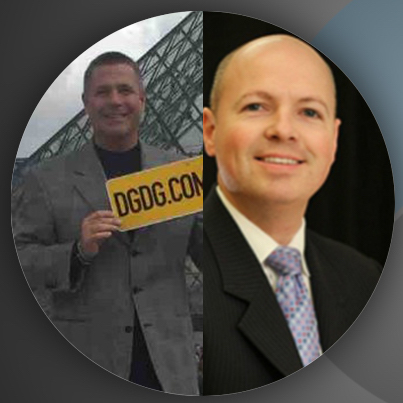 David is the Used Vehicle Director at Del Grande Dealer Group (DGDG) and Co-Creator of the DGDG Buy Center. Recognized as an industry leader who possesses the ability to motivate, inspire, lead and train at every level, David is analyzes and formulates innovative and cost-effective solutions that enhance competitiveness, increase market share, and improve guest and associate experience. Widely known for his dynamic and inspirational leadership style. Using experience-based judgment, a strong work ethic, and irreproachable integrity, David shines in any environment. Vehicle Acquisition Network (VAN) is a fresh alternative to acquiring pre-owned inventory. It is an innovative tool to aide dealers in acquiring private party vehicles in their local market. VAN aides used car managers/buyers in finding private party listings, viewing relative wholesale values then quickly and easily contacting several sellers in just moments. VAN also highlights the retail vehicles in a dealers local market that are below or near wholesale value. For more information about VAN go to www.buywithvan.com.